This is one of my favorite workouts, but it's hard. That's why I like to do it first day of the week! I love the feeling of completing something hard to start my week off. It's a small sort of accomplishment to feel motivated for everything else ahead of me in the week. Before each workout, warm up for 5-10 minutes doing light cardio on a treadmill or elliptical. Then complete a few reps with no added weight of the first exercise before starting the actual first set of the workout. For more on the "how's" and why's" of a good warm-up, read my Health Tip #3 on my blog. 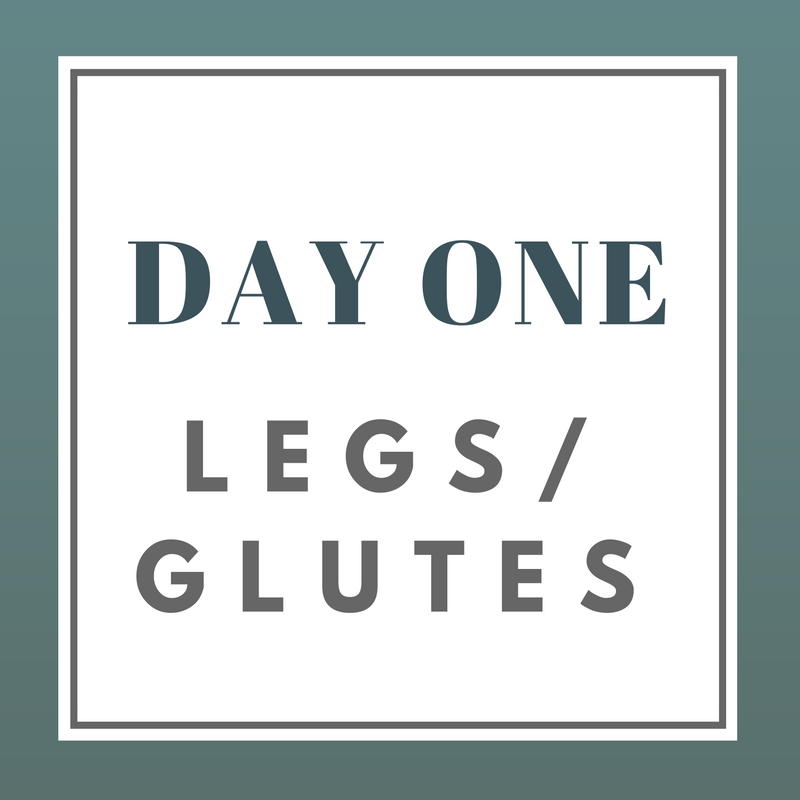 This LEGS/GLUTES workout will take about 60 minutes to complete. Follow the exercises sequentially, so do all 3 sets of the walking lunges with a minute rest in between before moving on to the squatted low platform jumps, and continue on from there. Finish the workout with bike intervals. These 7:40-minute Finishers are my favorite way to end a leg day! Don't mistake their short duration with easiness... your legs will burn! Start with 60 seconds easy (basically keep the clock running on the bike), then pedal to the medal and ramp that resistance up! Give those 20 seconds ON all you’ve got! Repeat 5 times total. Have fun! I'm excited to see how it goes for you all! Optional: If this move is too challenging, a regression would be to hold a wall sit and count to 30. May also be done with a cable or seated on a selectorized machine. You can use a hold dumbbells or use a selectorized machine too.